Stunning custom built home with a unique layout and many beautiful one of a kind details. 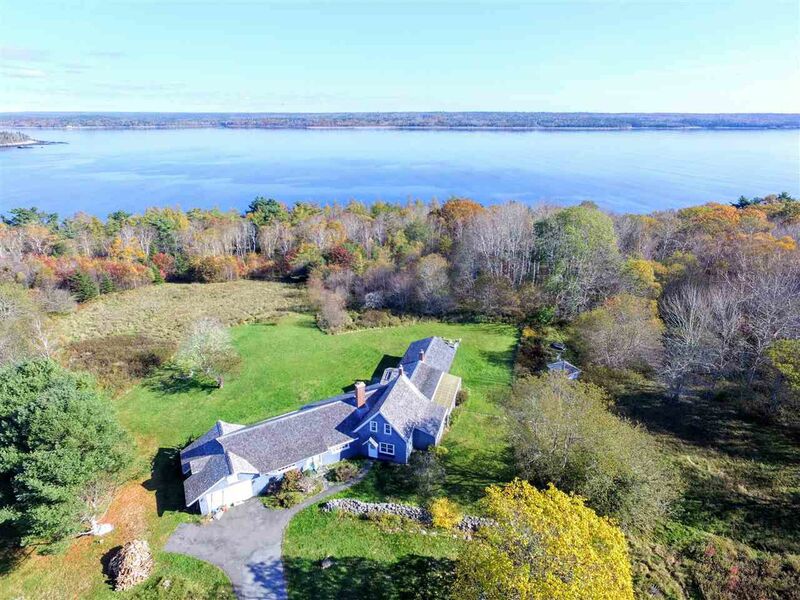 The home is sited on 14.59 acres in Jordan Ferry with over 800 feet of ocean frontage on Jordan Bay. The property is well treed with many unique species and wonderful perennial gardens. There is a large cleared area facing the ocean and there is a path to the shore, with selective clearing of trees the views of the ocean would be wonderful due to the elevation. The home has a unique layout with most of the home being on the same floor. The heart of the home is the large kitchen and dining area, there is a large island and plenty of storage and is well laid out for entertaining. The dining area has a large fireplace which has an airtight wood-stove which is wonderful for fire lit dinner parties. 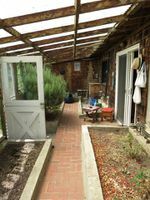 Off the kitchen is the patio and the greenhouse, which provides plenty of produce as well as passive heating in the winter, and through a stone arch doorway is the large master bedroom and laundry. There is cozy wood paneled living room which leads to the four piece bath and guest bedroom. The great room must be seen to be believed, like the rest of the house the unique oak flooring and beams are beautiful and the large stone fireplace is almost large enough to walk into, this fireplace could easily be made functioning again. This room has a wall of glass facing the ocean which makes this room light filled and bright, built in the inside corner of the home is the screened in porch which is accessed from the kitchen and the great room, this room features an open fireplace and beautiful beach stone walls and stairs built by a local artisan. There is a large second floor bedroom which occupies the whole original second floor of the home and is beautifully paneled. At the side of the house is a small separate building which is where the sauna is and off the great room is an attached 1.5 car garage and pantry. The home is only a 10 minute drive to Historic Shelburne and all amenities.